Thanksgiving Roll Up | Food It Yourself! You’ve seen this video, right? I mean you don’t live in a cave and if you are reading this blog you clearly have access to social media. 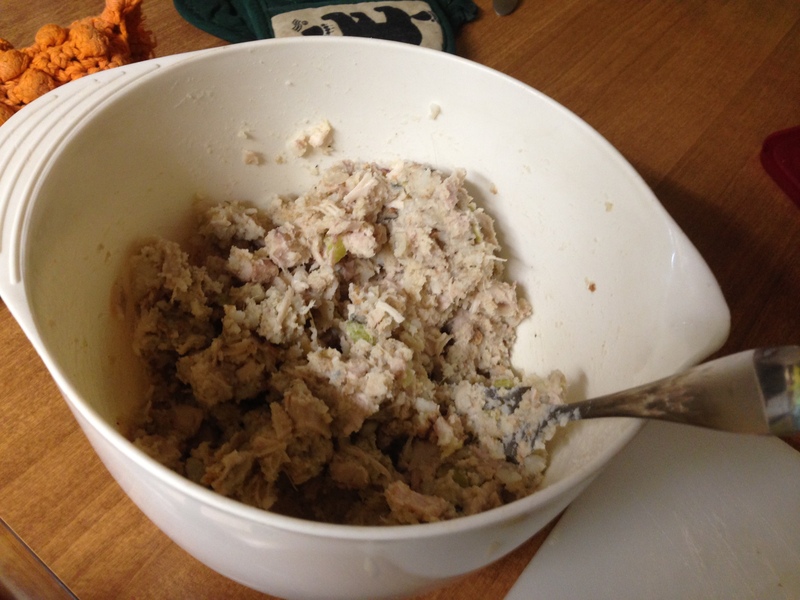 Here’s what we need for the filling- turkey, stuffing, and mashed potato- equal parts of each ingredient. Smash that together with a fork so the ingredients are evenly distributed. I bet left over squash would work just as well as potatoes. I made a different sauce than the one from the YouTube video. I used our leftover cranberry sauce and a splash of apple cider. 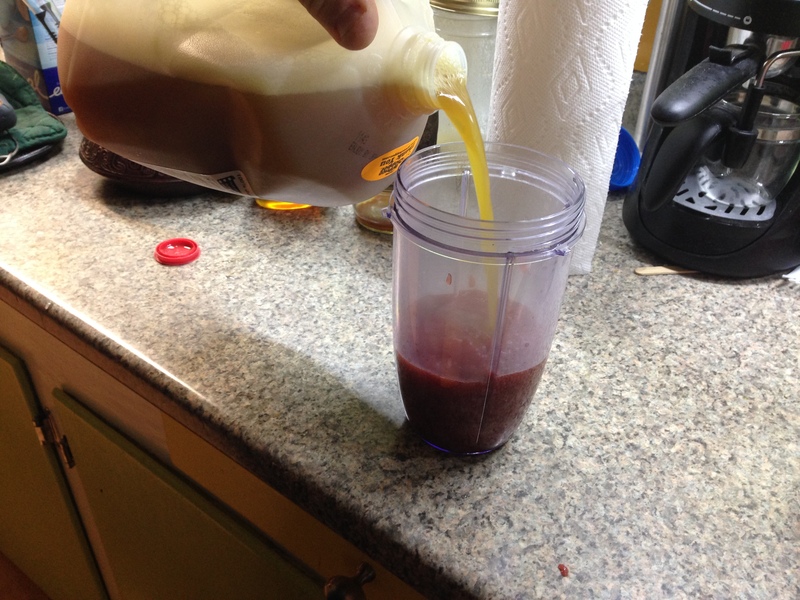 We whizzed it around in a blender until it was smooth. Yes, there is a bit of a trick to rolling the wrappers around the filling, but there is a fast learning curve. The most important thing is not to over-fill the wrapper. Here is a video of Mr. Food It Yourself rolling one. 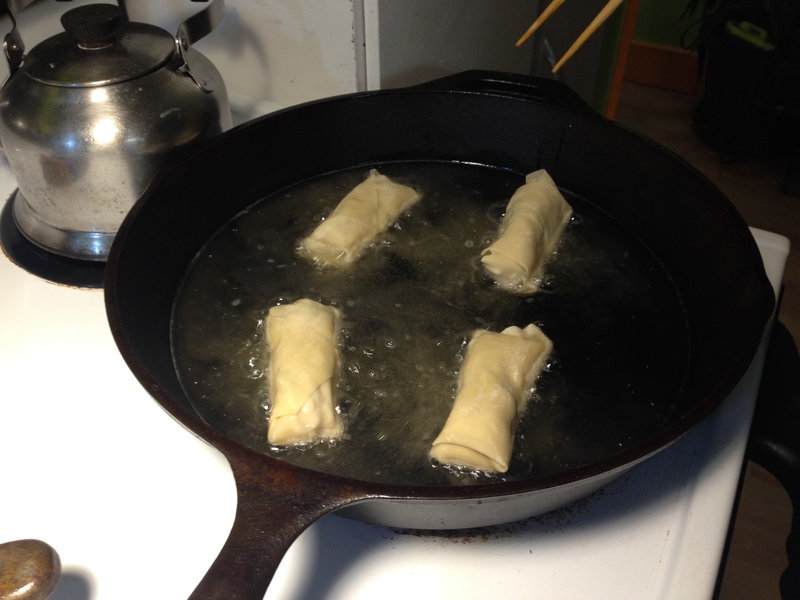 We fried our egg rolls in a big ‘ol cast iron skillet. 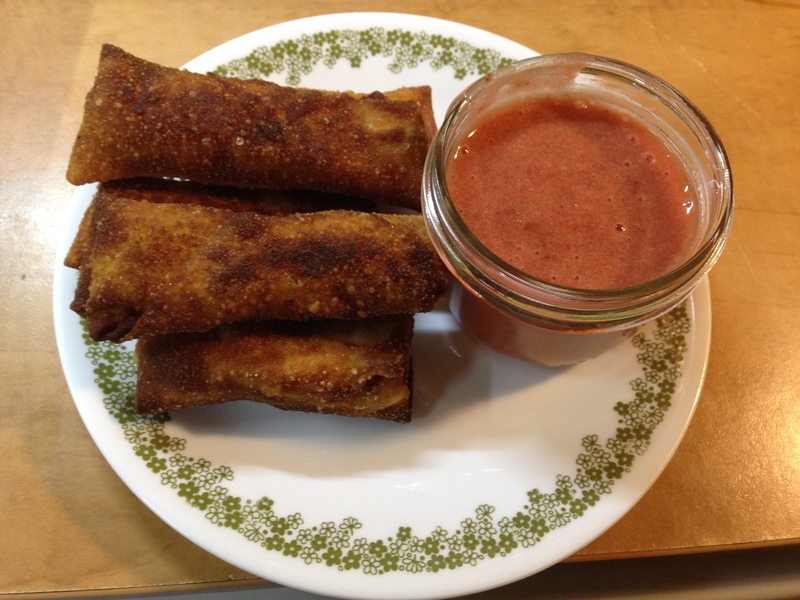 Here is the finished product, next to the cranberry dipping sauce. 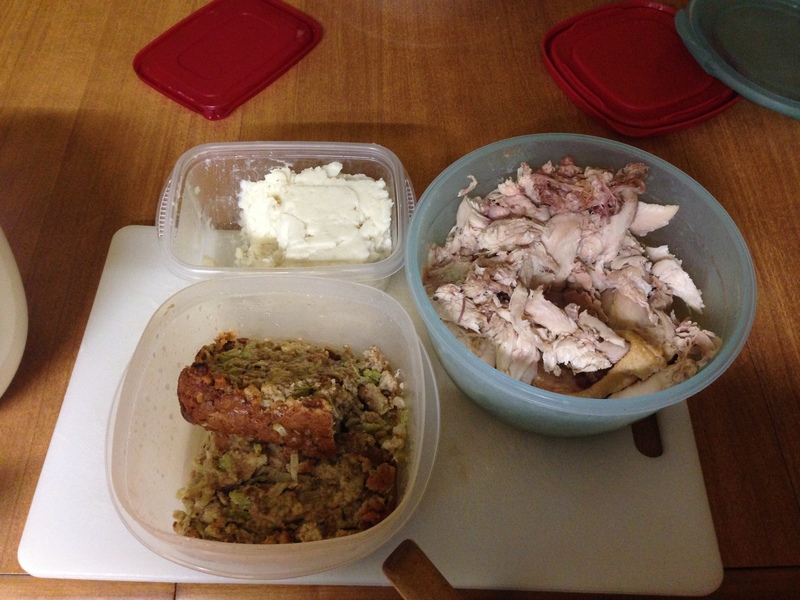 Definitely my favorite use of Thanksgiving left overs to date. I am always thankful for my family. I am especially thankful to have found a husband who loves playing with food as much as I do. I hope you have plenty to be thankful for, too. What is the most amazing thing you’ve ever made out of leftovers? Share in the comments section!